The loneliness is straightforward. A child who has captured the imagination of other children soon seems to be playing a game with himself—his own imagination reflected back at him from the other children. Likewise, when the one I love becomes a means to fulfilling my own desires, they take on the image of a mirror. And there is loneliness: a lack of the other person—a lack of another’s will and desire that stands against my own. I would like now to elaborate on this concept of love because I want to make it clear that I do not believe contentious relationships are superior to peaceful ones, but quite the opposite. A loving couple will certainly experience conflict and that is a good thing, but the conflict is a result of two separate wills trying to function in unity. Love is about unity not difference. I bring this up because I want to discuss false depictions of love in the public sphere, which has become increasingly polarized. It seems we have begun to think that love is a warm fuzzy feeling. I do not believe this is the case for two reasons. First, I do not believe love is limited to a particular feeling, and second, I do not believe love is essentially a feeling at all. For me, love has caused many feelings and deepened them all. Love is more like a task-master or orchestral conductor to my feelings. Love can dictate joy but also pain, sorrow, and remorse. If love can produce both high and low emotions it must be neither. And since I say that love produces the emotions, if I am right, love must precede the feeling. This in turn suggests the possibility of acting out of love without the emotions that are among the effects of love. While there is no doubt that the feelings associated with love bring animation to acts of love, and are to be desired, acts of love are not defined by feelings. 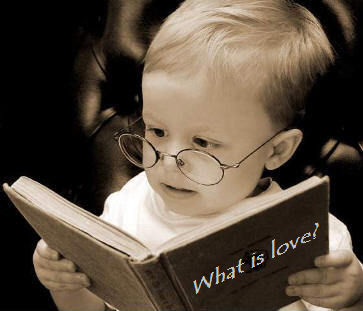 And so what is love? I will not do much in explaining what it is, as this article is primarily interested in what it is not. But, briefly I will say that I believe love is a generous act of will that acknowledges that there are outside wills and desires that we are nonetheless responsible for. But whatever it is, we seem to be designed for it. We react to love and embrace it to such an extent that we feel we could not live without it. It is as though we have an appetite for it, and when we partake, our bodies and souls are flooded with emotion, meaning, and purpose. When we withhold, we grow famished and frantic. Love is not all we need but it is certainly our greatest need. Life dwindles, pails, shrinks to meaninglessness in its absence. Yet perhaps because it is so integral to our experience, we have a hard time recognizing it—like feeling our own heart beating in our chest. And so we often misclassify love. Here are three examples of when I have mistaken something else for love. I have used the term love as if it was a reason for an opinion rather than a generous action. As if love somehow dictated a particular perspective: if you loved people you would know abortion is wrong; or, if you loved people you would give mothers freedom over their bodies. Using love as a political tool or as a butler to justice is ill-conceived. Love does not serve justice (but vice versa) and will certainly become a wily weapon for anyone attempting to brandish it in battle. In the public sphere we often claim love as a sort of scepter that not only assures us of our absolute correctness but somehow makes us feel superior to our less loving companions. This is seen in the taunting epigram “Love Wins.” Many of my friends who believe strongly in gay rights and marriage equality are very good people who are full of love. That is a truth. But many of my friends who have fought against marriage equality are also deeply kind and loving people. Anyone whose supposed love makes them feel superior to their neighbor is experiencing something other than love. Love is an act of unity not of self-aggrandizement. While love may in fact produce this egoistic feeling, it does so in the same way that food produces hunger—not by its presence but by its absence. Self-aggrandizement is like an act of metabolism as the body breaks down its own muscles for energy. I have sometimes thought that love is not judgmental and so a loving person would accept me no matter what. I do not believe this is so. Love aims at unity and so naturally produces conflict with obstacles to unity, sometimes including diversity. However, there are many times when in order to produce one form of unity, certain diversities must be permitted—and not just permitted but defended to the bitter end. Diversity is not itself much of a virtue (and we have less than we think), but the unity of love which often must maintain diversity in order to function is a virtue. A married couple must be very careful to respect differences in order to obtain their elusive unity. Without careful respect, one of them might overpower the other and destroy any hope at unity—because there is no companion to be unified with, only a reflection of the self which is the opposite of unity. But it is foolish to manufacture differences and dissent in the belief that greater diversity would necessarily lead to a superior state of being. The goal is unity. I have too often neglected to love an individual who is actually before me because I believed I was loving a superior abstract collective group or idea which existed nowhere but in my thick head. To love humanity collectively in any real way would necessitate something like the Atonement that Christians like me believe Christ enacted. Too often we discuss things like homosexuality, feminism, and abortion, in abstract terms as if there were certain classifications that summed up every situation and feel that we are practicing love, but do very little work at appreciating the complexities of real people and circumstances. As Dostoyevsky points out, we can too often love humanity in general while detesting our neighbor. When we feel anger at someone whom we perceive to be judgmental or unsympathetic, we are probably guilty ourselves. I have fallen into each of these traps and there are many more. Feel free to add any below or email me any that you can think of that I may not have mentioned. While we are an age which ceaselessly preaches love, we know very little about it. It is worth a more honest and reflective investigation. In the public sphere we have yet to learn how to practice charity towards all and malice towards none. We will certainly not agree, and some conflict may actually be a result of love, but the goal is unity—that is why we must maintain and defend diversity. If love is to win, it will not be the result of a political program, but of real and vital interactions. I really appreciated this post because it echoed a lot of recent realizations I’ve had about love. I think one of the greatest lessons I have learned about love is that it is not merely pity or compassion or tolerance. It is far more powerful than that. Over the years, I’ve had several friends mostly for the reason that those people didn’t have many good friends, and so I wanted to help them. Our relationships were much more based on me feeling sorry for them than me actually loving and respecting them. One night after talking with one of these pity-friends, he told me about some hardships in his life, and I realized, I have not appreciated him at all– I have always felt I was better than him. This is not love. Love is never prideful. I still don’t think I quite understand what real love is, but I really agree that love is focused on the people around us– our neighbor, not just humanity at large– and that it does not mean accepting the actions of others to always be alright. Thanks Lindsey. Well said. And I also am struggling with “understanding” it. It is proving much easier to say what it is not rather than what it is. I think there is another misclassification, and that is the idea of love. It’s easy to form a picture in our heads of what love looks like because of what we see around us, from literature or pop culture (etc). People then define love based on something that may or may not be true, or is unrealistic. Also, the single word “love” is used for so many different types of that word: familiar, friendly, romantic, even day-to-day (i.e. “I love strawberries”). It would be helpful if we had multiple words in English for this complex term– like the Eskimos have dozens of words for snow! I really like the phrase “love is a generous act of will,” as I believe love is just that: a choice. Well put, Josh! Thanks Brynn. There would certainly be some advantages to other classifications for love. Like C.S. Lewis’s The 4 Loves.